Rapid-rate, single-unit charging system that allows users to charge batteries on the go in their vehicles. 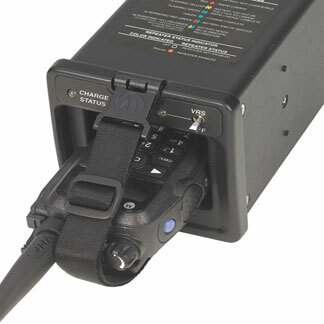 This IMPRES-compatible vehicular charger has full IMPRES charger-to-battery communication capability, but it does not recondition IMPRES batteries due to operational demand in a vehicle. It will indicate when reconditioning is required once the battery is placed in an IMPRES desktop charger, ensuring your battery receives adaptive automatic reconditioning. Dimensions (h x w x d): 3.23" x 3.82" x 7.88"